Welcome to BilbreyRacing.com! It is under construction, but will be completed soon! Bilbrey Racing pays contingency money in these organizations! Each month, a different racer will be featured here. Racers who use (and abuse) Bilbrey Racing Transmissions will be put in the spotlight, highlighting their recent racing achievements. This month's Racer of the Month is is Tommy Elliott. 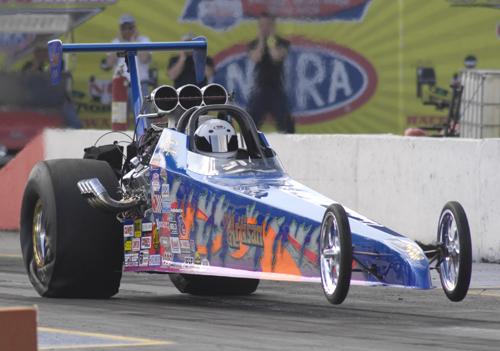 Bilbrey Racing would like to congratulate Tommy for his number one qualifying effort at Belle Rose, LA. He qualified number one with a 6.14 at 226 MPH, and his best was a 6.105/226.32 MPH blast down the quarter mile (running 3.944/182.18 MPH in the 1/8).